This analysis is based on a review of DPRK media sources covered by OSC. 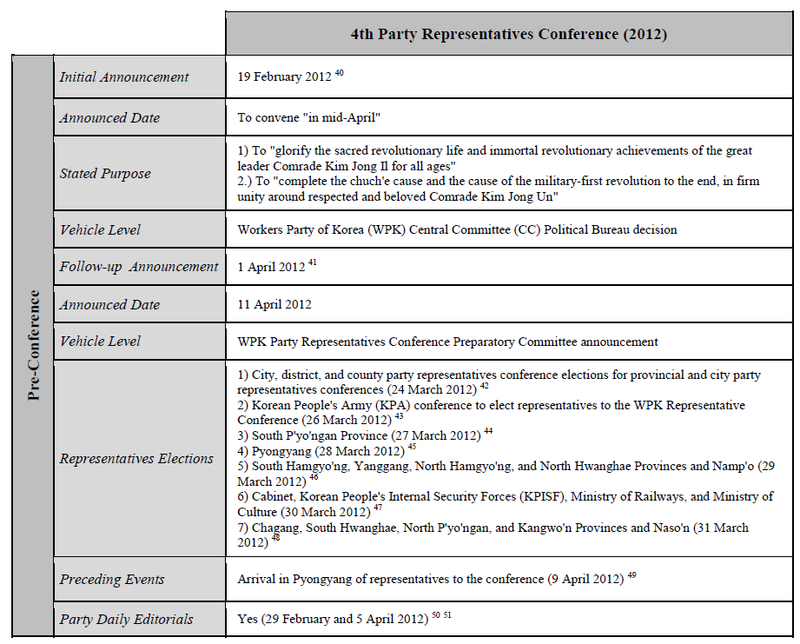 It relies on available data from the North Korean party daily for events that occurred in years preceding 1995. 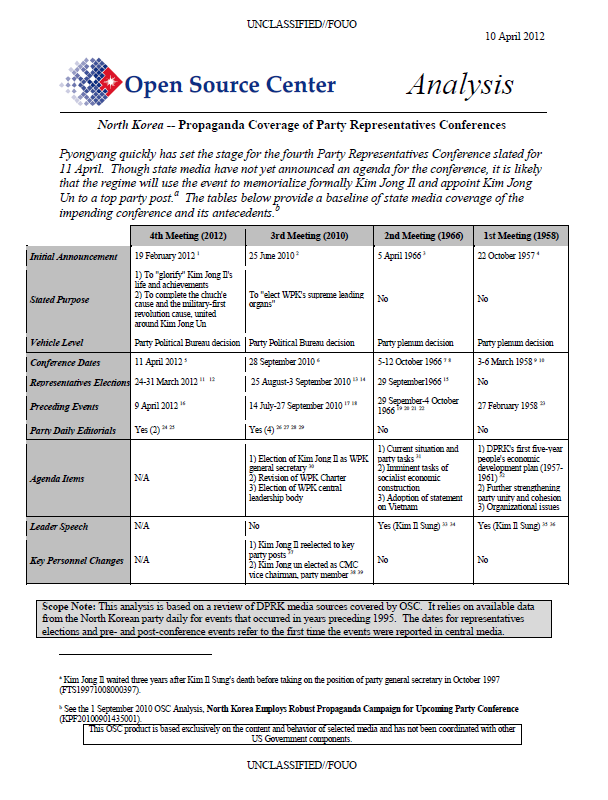 The dates for representatives elections and pre- and post-conference events refer to the first time the events were reported in central media.